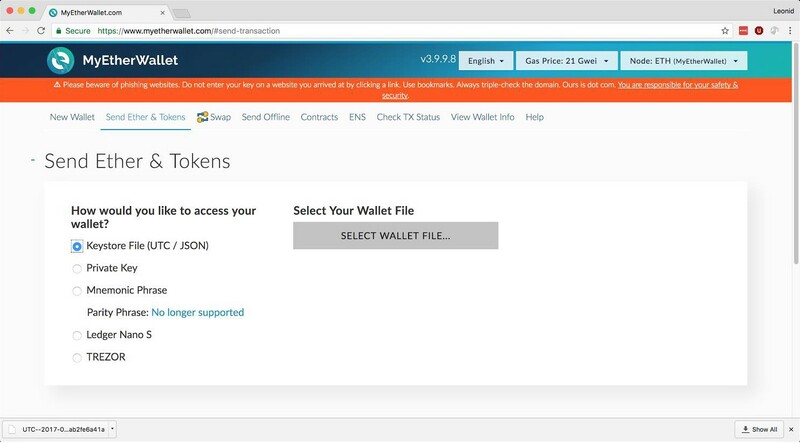 Choose how you would like to access your wallet. 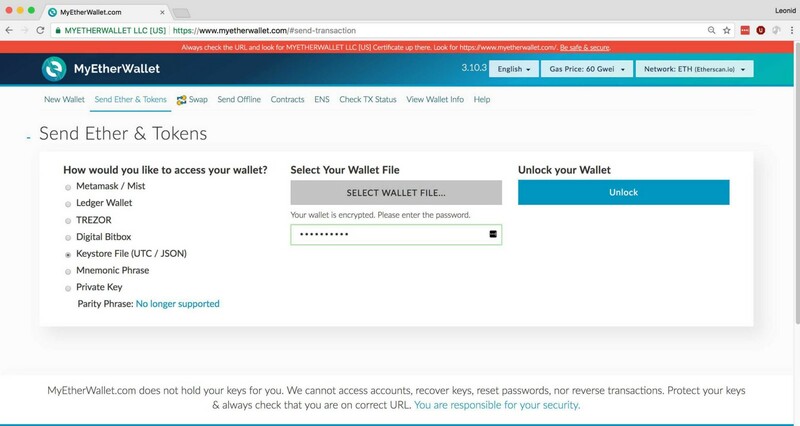 For instance, if you choose to access using your keystore file, select the wallet file as indicated below. 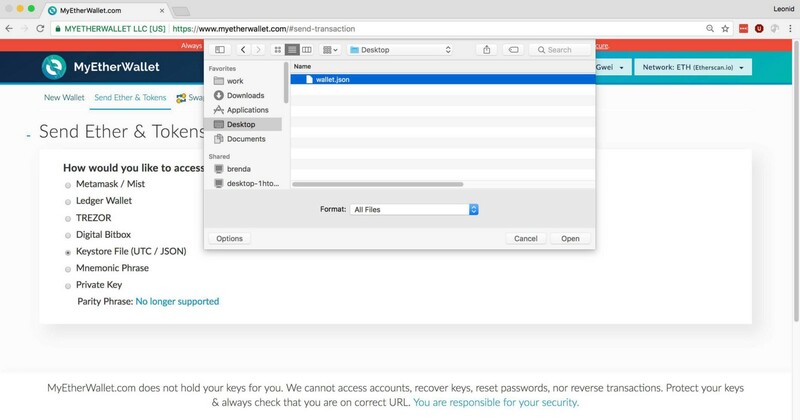 Insert your password and click “Unlock” to proceed. You will then be asked to fill the “Send Transaction” form. 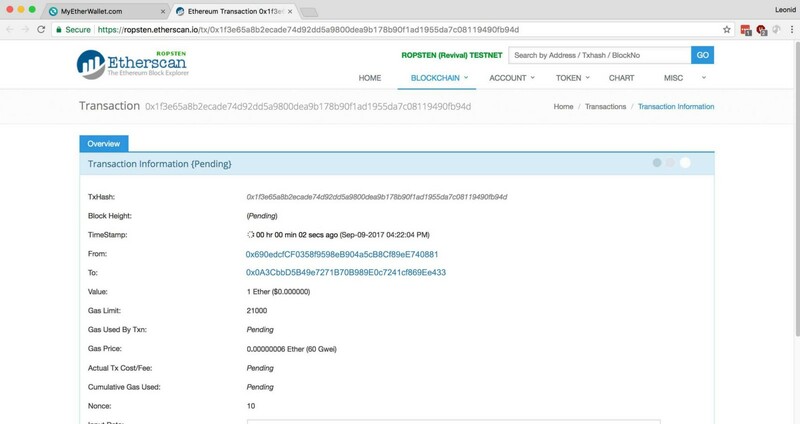 In the “To Address” field, paste the sale address copied in the last step. In the “Gas Limit” field, change the minimum amount to 200,000 gas. 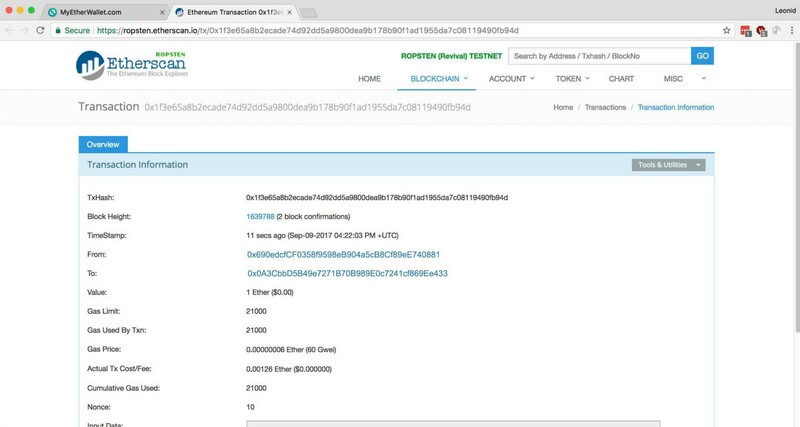 This will ensure that your transaction is processed. A popup will appear. 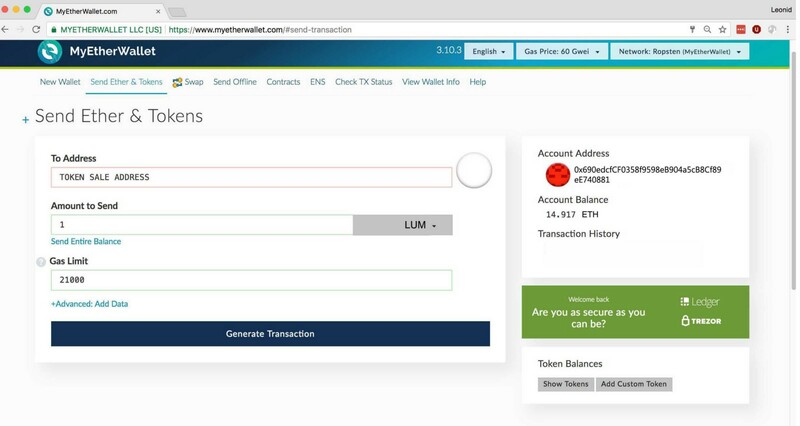 Click “Send Transaction.” MyEtherWallet will ask you to confirm the transaction. If the data is correct and you wish to proceed, click “Yes, I am sure! 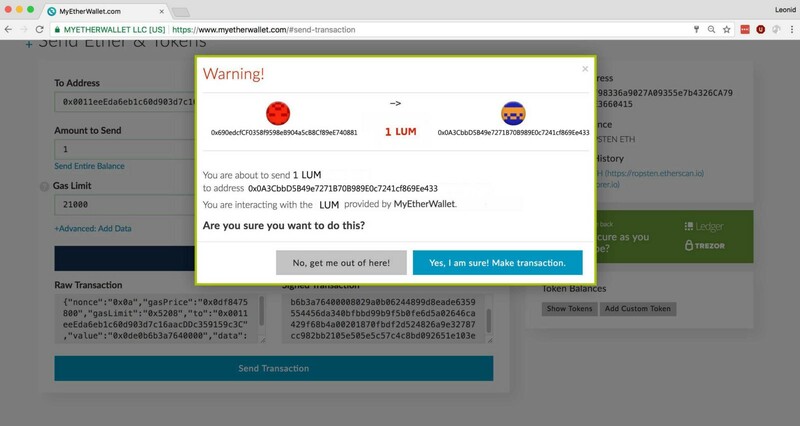 Make transaction.” DO NOT click on this button more than once. Congratulations! 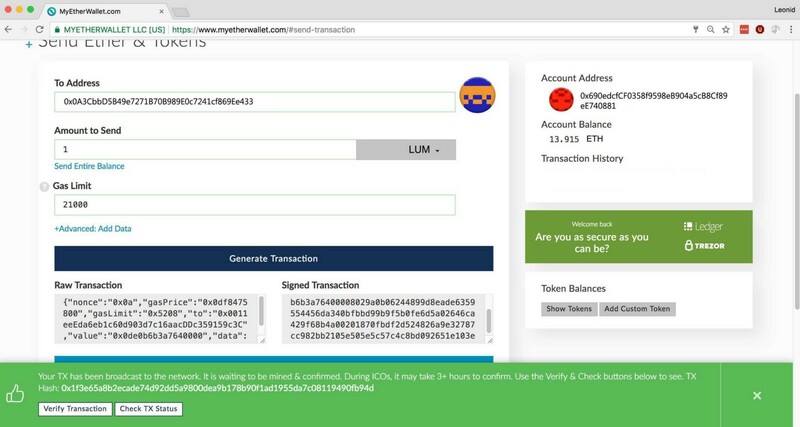 You have now purchased the amount of LUM that corresponds to the amount of ETH you sent.